In honor of its 40th anniversary, the usual four-day Telluride Film Festival has an additional day of programming and takes place Thursday, August 29 - Monday, September 2, 2013. Additional Sneak Previews may play outside the main program and will be announced on the Telluride Film Festival website over the course of the five-day weekend. Visit the TFF website for updateswww.telluridefilmfestival.org. This year, Telluride Film Festival invites six past Guest Directors to return with new programs: novelist Don Delillo (TFF 2006) presents LA MORTE ROUGE (d. Victor Erice, Spain, 2006) and analyzes the 26-secondZAPRUDER film; screenwriter, director Buck Henry (TFF 2005) presents the “director’s cut” of THE TERMINAL MAN (d. Mike Hodge, U.S., 1972); writer Phillip Lopate (TFF 1995) presents NAKED CHILDHOOD (d. Maurice Pialat, France, 1969) with Pialat’s short, LOVE EXISTS (France, 1960); novelist Michael Ondaatje (TFF 2010) presents short films LA JETÉE (d. Chris Marker, France, 1962) and ELEPHANT (d. Alan Clarke, U.K., 1989); film scholar, curator and author B. Ruby Rich (TFF 1996) presents ONE WAY OR ANOTHER (d. Sara Gómez, Cuba, 1974); writerSalman Rushdie (TFF 2004) presents MAHANAGAR (d. Satyajit Ray, India, 1963). Telluride Film Festival’s SHOWcase for Shorts features eleven short films chosen to precede select feature films; Filmmakers of Tomorrowincludes four programs: Student Prints, Great Expectations – narrative and non-fiction, and Calling Cards from twenty-one emerging filmmakers. Telluride Film Festival’s Talking Heads programs allow attendees to go behind the scenes with the Festival’s special guests. Eight Conversationstake place between Festival guests and the audience about cinema and culture, and three outdoor Noon Seminars feature a panel of Festival guests discussing a wide range of film topics. These programs are free and open to the public. A special seminar, Alice & Friends, with panelists Alice Waters, Michael Pollan and Dieter Kosslick will focus on the issues at the intersection of food sustainability, consumption and art and will be followed by the presentation of Participant Media’s inaugural FOOD, INC. Movement Award to Alice Waters. Corporate support at Telluride Film Festival plays an essential role in the life of the Festival and underscores the Festival’s commitment to quality, adventure and distinction in the art of cinema. TFF is privileged to collaborate with some of the world’s most renowned consumer and entertainment brands, including Land Rover North America, Turner Classic Movies, Audible.com, Meyer Sound, the Academy of Motion Picture Arts and Sciences, Mandarin Oriental Hotel Group, Pine Ridge Vineyards and Universal Studios; and excited to welcome new partners Bombardier Business Aircraft, EY, Film Finances, Inc. and Participant Media-- each of which are aligned with a unique feature of the festival. Equally, Telluride Film Festival is extremely proud of its committed relationships with Americas Film Conservancy, The London Hotels, Teatulia, The Hollywood Reporter, Cinedigm, Dolby, New Sheridan Hotel, Telluride Alpine Lodging, and UCLA School of Theater, Film and Television. The 40th Telluride Film Festival’s program will be posted in its entirety on Wednesday, August 29, 2013. Visit www.telluridefilmfestival.org to download the Program Guide. 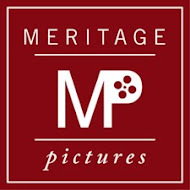 Film stills and Festival images available upon request. Emailshannon@telluridefilmfestival.org for more information. Telluride Film Festival is supported by Land Rover North America, Turner Classic Movies, EY, Film Finances, Inc., Audible.com, Telluride Mountain Village Owners Association, Meyer Sound, The Academy of Motion Picture Arts and Sciences, Bombardier Business Aircraft, Participant Media, Universal Studios, Mandarin Oriental Hotel Group, Américas Film Conservancy, The London Hotels, Pine Ridge Vineyards, Telluride Foundation, UCLA School of Theater, Film and Television, Teatulia Organic Teas, Dolby, Telluride Alpine Lodging, Crumpler, ShopKeep POS, New Sheridan Hotel, The Hollywood Reporter, Cinedigm, Boston Light and Sound, among others.